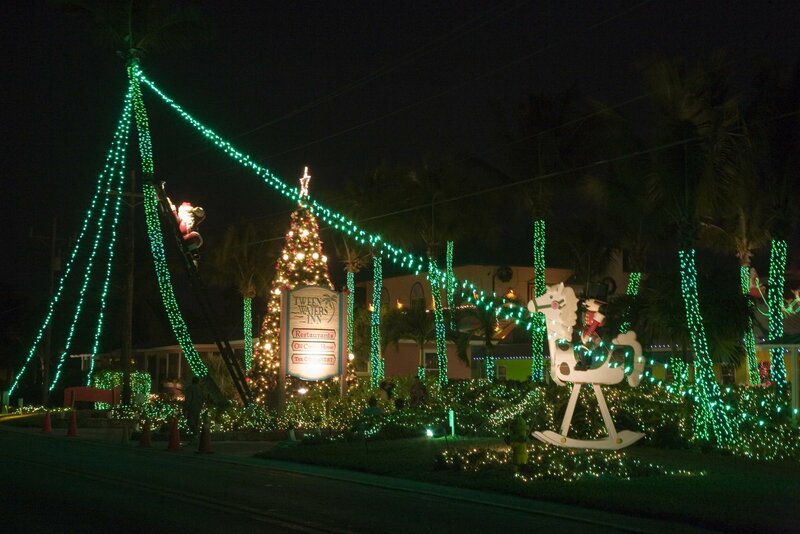 There’s nothing quite as magical as Captiva Island and the legendary ‘Tween Waters Inn over the holidays! 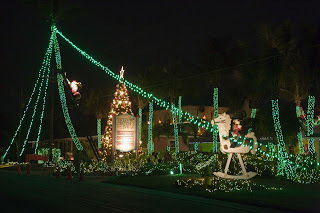 From more than 100,000 twinkling lights throughout our resort (click image at right to enlarge), to our 35-feet towering Christmas tree at our Gulf-front entrance, to Santa in his traditional place — climbing our towering palm tree that looks out on our beautiful beach — you’ll want to visit us this holiday season. For an evening, with dinner at the landmark Old Captiva House restaurant. Or an overnight delight. Bonus: We’re making it easier than ever to stay the night and watch for Santa, with outstanding savings of 30% Off Weekends (Friday and Saturday nights), or a whopping 50% Off Weeknights (Sunday through Thursday). This offer is valid on new reservations only, and only through December 22, 2007. To make your reservation, call us now at 800.223.5865 and mention “Holiday Discount” to your friendly reservationist. Or for other superior, value-added and guaranteed lowest rate lodging choices, simply visit our website by clicking here. And here’s a holiday gift for you: A “Sixty Second Sunset” from the beaches of ‘Tween Waters Inn. Just click, and enjoy. Shouldn’t every day (and holiday) be this good?